As the man accused of driving the car that killed Heather Heyer heads to trial on murder charges, the wounds are still raw. Few in Charlottesville believe the trial will do much to heal the community or the country's racial divide. RICHMOND, Va. (AP) — A planned “Unite the Right” rally by white nationalists in Charlottesville exploded in chaos: violent brawling in the streets, racist chants, smoke bombs, and finally, a car speeding into a crowd of counterprotesters, killing one and injuring dozens more. Afterward, President Donald Trump enflamed racial tensions when he said “both sides” were to blame, a comment some saw as a refusal to condemn racism. Fifteen months later, as the man accused of driving the car heads to trial on murder charges, the wounds are still raw. Few in Charlottesville believe the trial will do much to heal the community or the country’s racial divide. 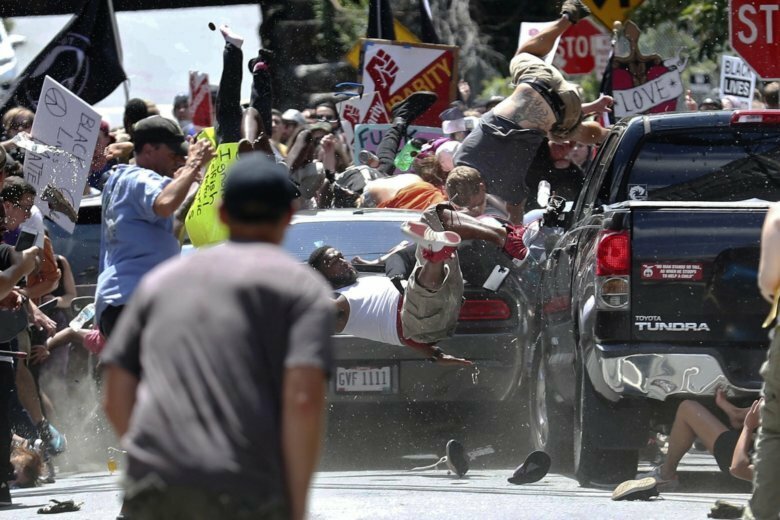 “Hopefully, this will signal a chance for healing, although I am not entirely optimistic about that because the entire culture in which we live is so steeped these days in white supremacy and white nationalism that violence is becoming less an exception to the practice of American democracy and more like a brutal showing of it,” said Lisa Woolfork, a University of Virginia professor who was in a crowd of counterprotesters when the car seemed to come out of nowhere on Aug. 12, 2017. The rally was organized in part to protest the planned removal of a statue of Confederate Gen. Robert E. Lee. Hundreds of Ku Klux Klan members, neo-Nazis and other white nationalists — emboldened by Trump’s election — streamed into the college town for one of the largest gatherings of white supremacists in a decade. The group’s show of strength included dressing in battle gear, shouting racial slurs and attacking counterprotesters. Prosecutors played surveillance video that showed Fields’ Dodge Challenger head slowly in the direction of the counterprotesters, then move in reverse before speeding forward toward the counterprotesters. Star Peterson, whose right leg was virtually crushed by Fields’ car, has had five surgeries and still uses a wheelchair and cane. She has been unable to return to work and has received help paying her rent and other bills from Heal Charlottesville, a fund set up to help the injured. Peterson said she’s been told by prosecutors that she’ll be called as a witness at Fields’ trial. White nationalist Richard Spencer, who coined the term “alt-right,” said he has never had any contact with Fields and does not plan to attend his trial. He said he hopes the trial does not paint all members of the movement as violent. “It’s a deeply disturbing incident, and that this one incident could symbolize things that I believe in and things that millions of people believe in, that would be very unfortunate, but I don’t think that’s going to be the case,” he said. Instead of strengthening the alt-right movement, the rally proved to be a disaster. The movement’s leaders are fighting lawsuits and have been kicked off mainstream internet platforms. A one-year anniversary rally held near the White House drew only about 30 white nationalists. Heyer’s mother, Susan Bro, created the Heather Heyer Foundation to honor her daughter and provide scholarships to students in law, paralegal studies, social work, social justice and education.